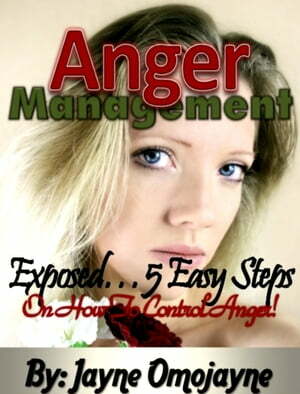 Collins Booksellers - Anger Management: Exposed… 5 Easy Steps On How to Control Anger! by Jayne Omojayne, 9781311785343. Buy this book online. Anger Management: Exposed… 5 Easy Steps On How to Control Anger! My friend, if your anger, or that of a loved one, is out of control and threatening your life and livelihood, you need the calm, clear, and understanding help you’ll find in "Anger Management: Exposed… 5 Easy Steps On How to Control Anger!" This is a succinct and no-nonsense book which addresses specific and diverse anger management methods, skills, and exercises that will lend a hand to you to identify the sources of your anger burst and free yourself from their grasp. Finally, in this book you will learn how yet a small amount of anger can capture your life if you let it. As you will soon discover inside this book - it is an easy step by step presentation that makes sense and allow you to evaluate your feelings like they are normal even if not.